Gift Baskets for College - As a parent, you like to do nice things for your children, and it really doesn't matter whether there is a special occasion or holiday involved at all. At GiftProse, we love that sort of spontaneous kindness sentiment, and offer a fabulous selection of gift baskets, gourmet desserts and thoughtful little personal accessories that are guaranteed to draw a smile from everyone on your list. 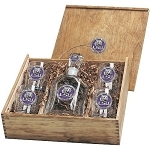 In our College Gifts section, we have the perfect solution for those "I miss my baby" blues. 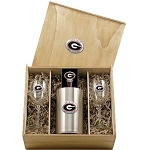 Send them an awesome gift basket full of tailgating and grilling supplies and accessories, all decked out in their favorite University's colors. 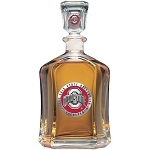 For alumni gifts, the College Capitol decanter is a classy way of raising a glass to your Alma mater. Browse through our College Gifts collection to choose your favorites, and don't forget to check out all of the other delightful gift ideas available only at GiftProse!